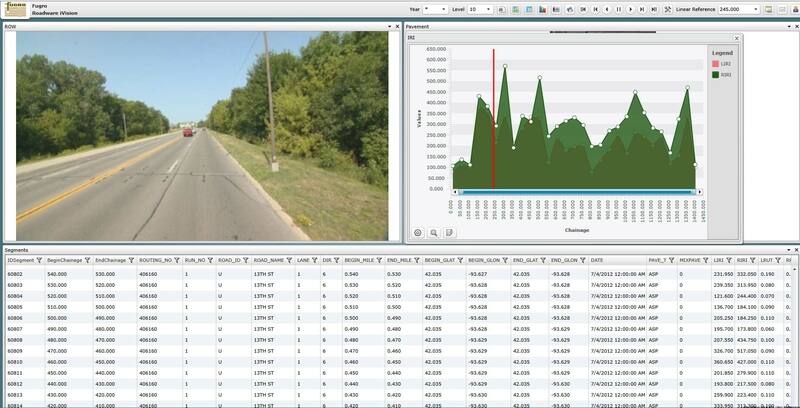 IPMP offers videologging of roadways to integrate with the data already collected. Roadware will integrate the video and the data into a single desktop application. Visi-Data is a multimedia data presentation and analysis tool. Data are presented in tabular and graphical formats. Associated right-of-way images can be presented along with GPS location. The user can display data such as roughness, rutting, and cross slope integrated with digital images by specifying a reference point.